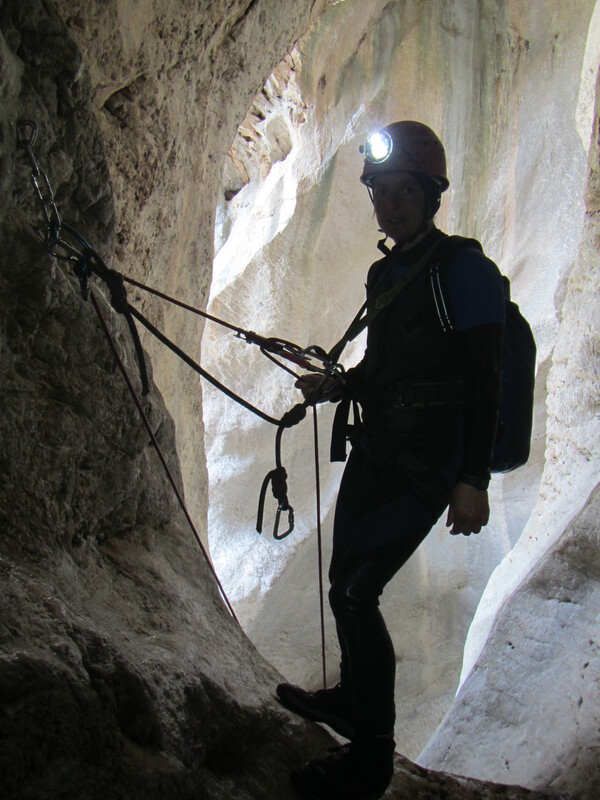 This Easter I had four days of canyoning and caving on the fantastic island of Sardinia. A short, but beautifully wild canyon near our accommodation. It was straightforward with just a few pitches, but gave a good introduction to the island. 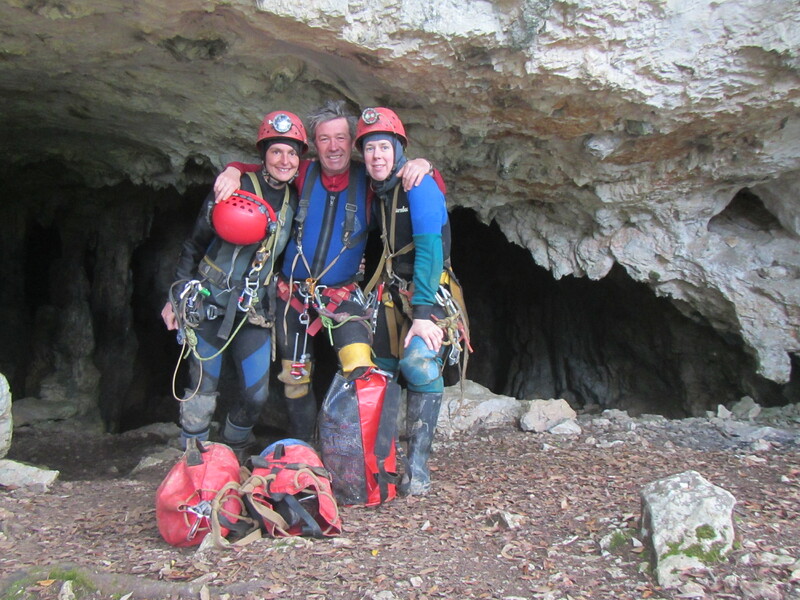 One of the great subterranean systems of Sardinia, we barely scratched the surface. A walk in entrance soon leads to a climb up to a gate (open) and then to the first pitch. A little acrobatic rigging was required to reach the bolts in the roof to give a free hang of 15m or so. Large well decorated galleries followed, although these clearly have suffered from many visitors. A climb/pitch up (fixed rope), another gallery, a climb down (fixed rope), a short crawl and another large gallery lead to the key junction. Up and right was the route to the high level which we did not take, while left and down was the second pitch to the river. There had clearly been a lot of rebolting recently, but it was still hard to get a good hang on the final section. The river below was just amazing. Beautiful clear pools separated by gours which you needed to climb to make progress upstream. There was very little flow, but you had to swim the pools and we were grateful for our neoprene. None the less it was still very cold and when we reached a gour we could not climb (possibly as water levels were low) it seemed like a good place to turn. There is a lot more cave beyond though and I will have to go back. Another beautiful, wild, but not always enclosed canyon, high up in the valley opposite from Su Bentu. We were just starting to struggle a little with the sparse guidebook description for the walk in (approx. 2 hours) when we converged with a large Italian party also heading for Vilighingios. They suggested that we would not be able to find the canyon without a guide, that if we did it would only lead to helicopter rescue. While this was certainly exaggeration, the last part of the route did prove to be rather obscure and while we may have found it eventually, whether there would still have been much daylight left is another question. A distinct feature is met halfway down the canyon where there is an old animal enclosure and cuili (or old charcoal burners hut). 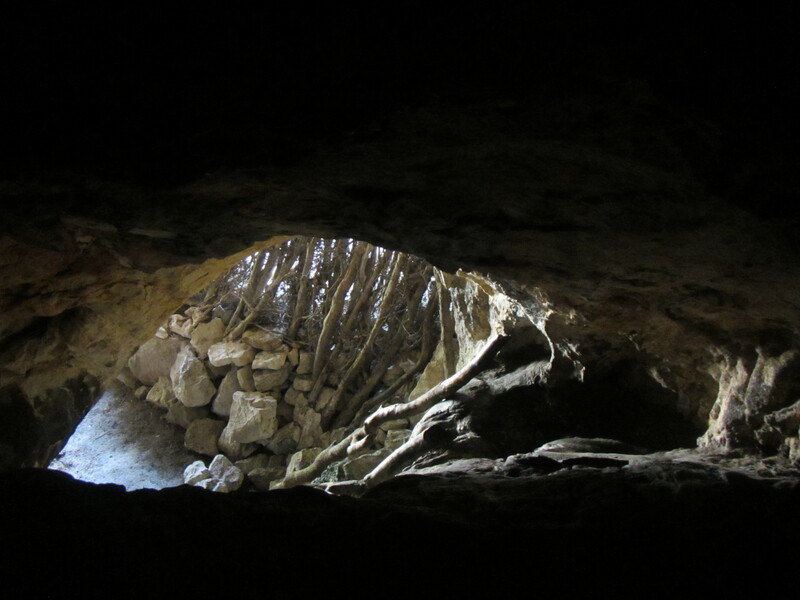 This one was under a cliff overhang and clearly located there to take advantage of good water drips and a pool in the cave behind the cuili. 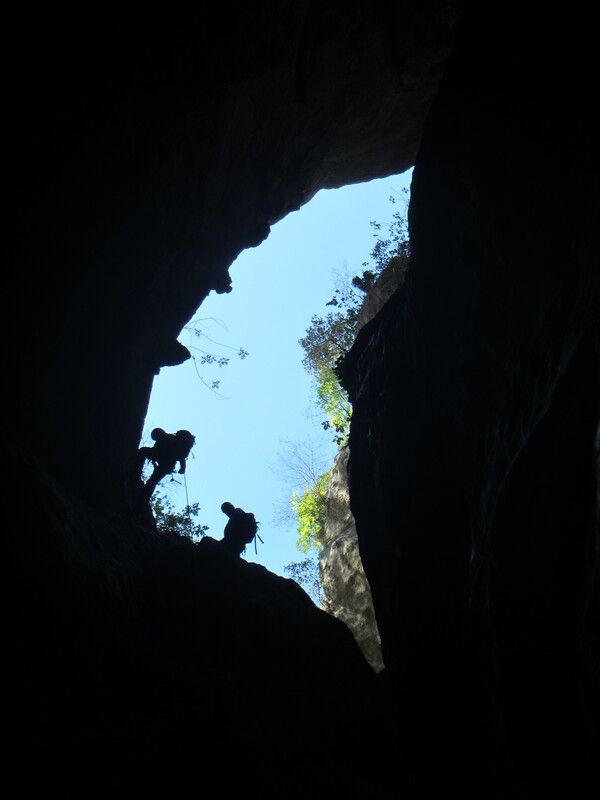 One of the classic enclosed canyons of Sardinia. Although normally there is no flowing water, there are deep plunge pools which require swimming. 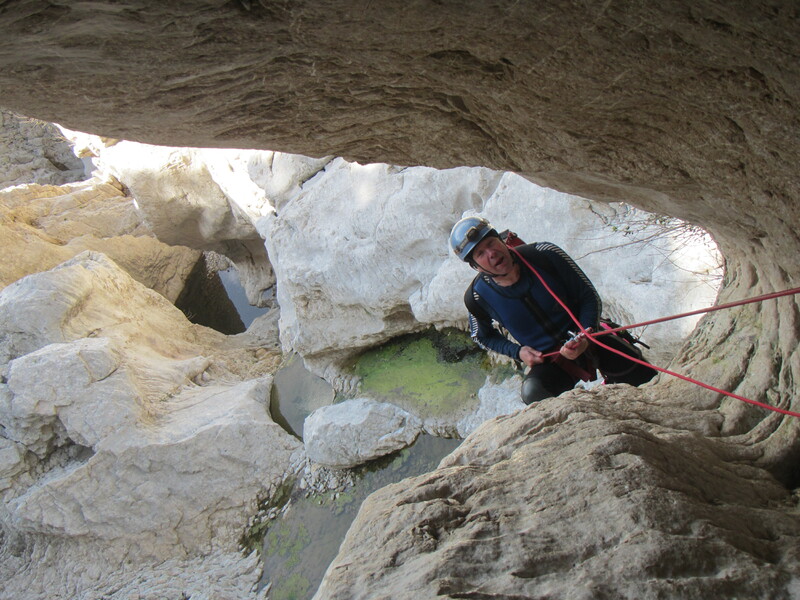 The canyon also passes through a cave in its lower section, before emerging spectacularly part way up a cliff. This was definitely one of the highlights of the trip.